Hi....not sure what the best approach is for this. 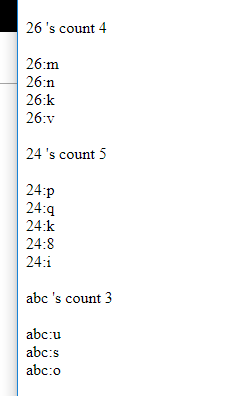 I have a var list that contains a list of key, value where key could be any string such as "abc", "25", "35.26", "29.7"
I want to use Int.TryParse to parse these to integers where the first one would return false. The "25" converts fine but the last two won't as I would need to use decimal.TryParse....but I have a huge list of these and each value is attached to a key that has an integer value associated with them...i.e. "abc" could have 25 records so value would be 25 and so forth. How do I write a method that converts to integers, given that alphabetic or alphanumeric characters would fail, but decimal would return the rounded number to the nearest whole. So "35.26" would return 35 and "29.7" would return 30 and so on...? And once I have the list, I'd like to create a key, value paired list where it groups each integer in how many times it occurs in the list. Not sure about your requirement, if you want to parse value which may be integer , decimal and character, you could use decimal.TryParse and then use Math.Round to get rounded number. If you want to group the key value pair, you could use group by.